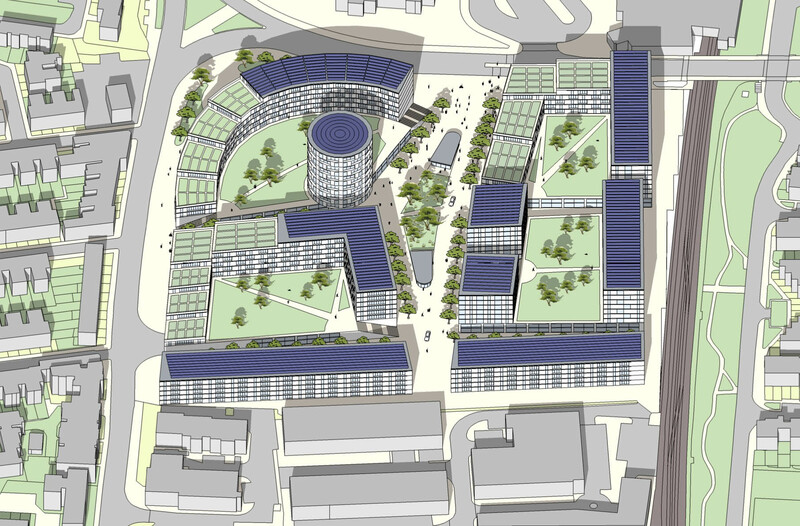 A masterplanning exercise to show the potential for the redevelopment of a London Retail Park into a more vibrant district centre. The plan offers a wide range of amenities for the local community including restaurants, cafes, hotels, workspace and residential uses above retail development. 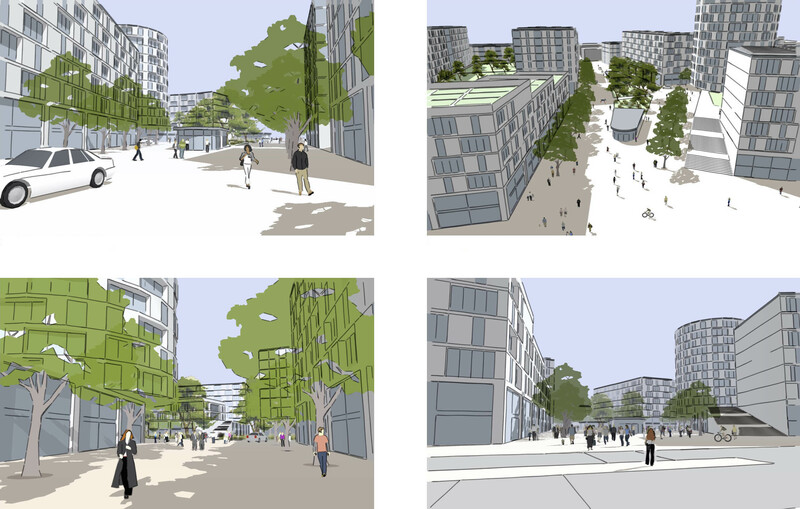 The proposal offers good new physical links to the station, a wide range of options for shops and amenities and an attractive pedestrian environment. Retail provision is predominantly at ground level with high quality hard and soft landscaped public spaces. Residential entrances and retail frontages are at street level where pedestrians dominate over a limited amount of motor vehicles. Parking and service traffic are below ground. In this way the concentration of human activity will provide a lively urban environment that is safe and legible day and night. 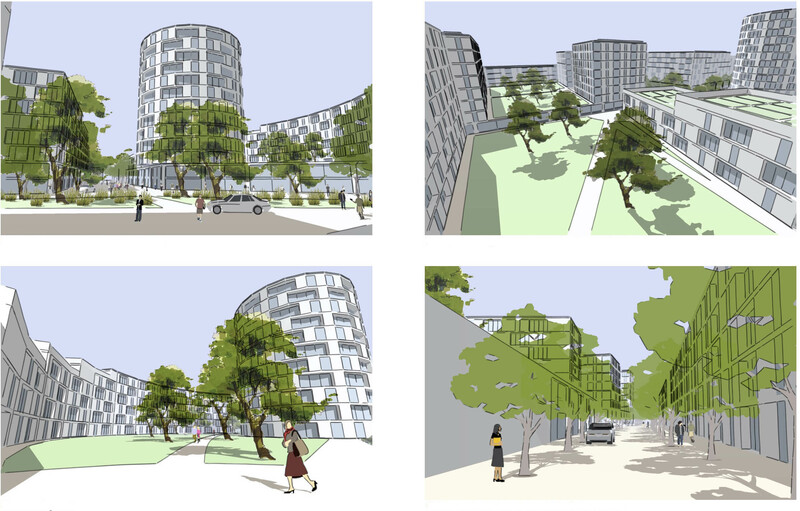 The residential development is arranged around raised podium gardens and courtyards with roof gardens above retail units and private allotments on some roofs.